CHICAGO – For their dedication to social justice and equality, Planned Parenthood of Illinois and veteran LGBTQ rights activist Jim Bennett will be honored at the 2018 Equality Illinois Gala. United Airlines is the Presenting Sponsor of the Gala, the Midwest’s largest LGBTQ formal celebration, to be held on Saturday, February 3, 2018 at the Hilton Chicago, Equality Illinois announced Wednesday. More than 1,000 attendees, including more than 100 political figures and community VIPs, are expected to celebrate the accomplishments that advanced LGBTQ civil rights over the last year and hear about Equality Illinois’ mission in 2018 and beyond to create a more welcoming and inclusive state for LGBTQ Illinoisans and our families. “We are celebrating new legislation that Equality Illinois helped pass so that transgender Illinoisans have an updated birth certificate law, LGBTQ Illinoisans will see better representation on state boards and commissions, and the anti-LGBTQ panic defense is outlawed,” said Brian C. Johnson, CEO of Equality Illinois. 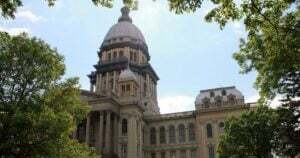 “The gala is also an opportunity for Equality Illinois to share our vision for countering the headwinds of the anti-LGBTQ policies sweeping the nation by continuing to advance LGBTQ civil rights in Illinois,” Johnson said. The Gala is the single-largest fundraising event for the Equality Illinois Institute, which funds the ongoing educational and outreach work for LGBTQ equality throughout the state of Illinois. At the Gala, the Equality Illinois Business Leadership Award, given annually to organizations that demonstrate remarkable vision, courage, and leadership in the effort to achieve full equality for LGBTQ individuals in Illinois, will be presented to Planned Parenthood of Illinois. “We are proud to honor Planned Parenthood for a century of providing access to sexual and reproductive health care and information, often facing tremendous challenges, and more recently for offering transgender health care services including hormone therapy in health centers in Chicago and central Illinois,” Johnson said. The Equality Illinois Freedom Award, which honors individuals who demonstrate remarkable vision, courage, and leadership in the effort to achieve full equality for LGBTQ individuals in Illinois, will be presented at the gala to Jim Bennett. For more than a decade as Midwest Regional Director and recently as Chief Development Officer, Bennett has contributed his strong and powerful voice for our community through his work at Lambda Legal, the nation’s largest legal organization dedicated to securing the full civil rights of the LGBTQ community and people with HIV. “We will always be grateful to Jim for taking on the Herculean task of chairing the Illinois Unites for Marriage coalition, which pulled together LGBTQ organizations, Republicans and Democrats, labor and business and many more for the successful campaign to win marriage equality in Illinois,” Johnson said. Bennett, reacting to the honor, reflected on the importance of the statewide work of Equality Illinois. “Springfield is my hometown. When I came out, I did what ‘everyone does’, I moved to Chicago. 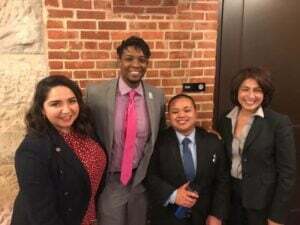 I am thankful to Equality Illinois for always seeing Illinois as one state, and I’m thrilled to be part of their efforts to make sure equality reaches all the way across the Land of Lincoln because we really are everywhere,” Bennett said. Tables and individual tickets for the 2018 Equality Illinois Gala are now available at www.equalityillinois.org/2018Gala. Purchases made before Oct. 31, 2017 receive a 10% discount.